Forget the 1953 CIA-led coup. Forget the hostage crisis. Forget everything. 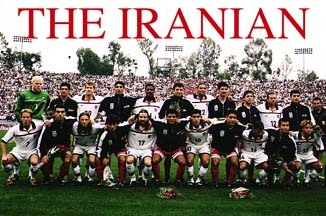 That was the general mood among 60,000 Iranians who turned up for the soccer match between Iran and the U.S. at the Rose Bowl in Pasadena, southern California. They felt no bitterness, not even a sense of rivalry. They were the happiest people on earth.